We received a question from 'Jason' regarding testing for the presence of arsenic in a high protein shake called Orgain recently: "I am interested in testing a drink called Orgain for arsenic. It resembles chocolate milk. Do you have a test that will work with it? 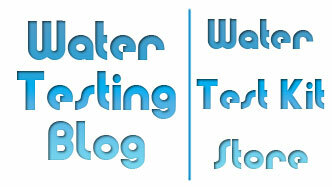 Thanks Jason"
Water Test Kit Store carries the Arsenic Quick brand of arsenic testing products which works quite well for detecting levels of free dissolved arsenic in drinking water... but we do not know how well they would work when used to test non-water samples. The concentration of arsenic may be too low or too high for the test kit to detect. Ingredients in the sample may cause a more 'violent' bubbling than water and result in the test area on the suspended test pad getting wet. If the pad gets wet, the test becomes invalid. The sample may contain organically bound arsenic and the test kit cannot detect organically bound arsenic. To sum all that up, we do not know if the test kit we carry will work for Orgain or any type of sample other than water (or wood). Science Fair Project: Testing for Arsenic in Foods? 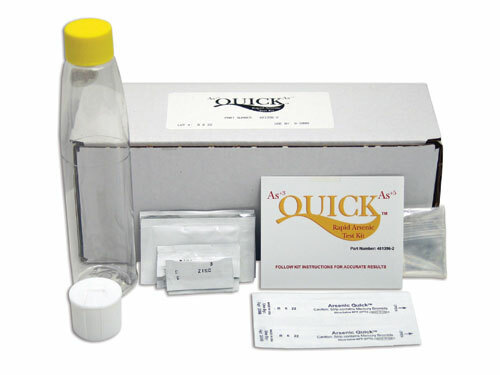 We received an inquiry about Arsenic Quick Test Kits from 'Alana' who asked, "I would like to know cost and purchase information on the arsenic test kit for my child's science project. Can different foods be tested? Also, how many tests can be done with one kit? What is the purchase price of one kit?" 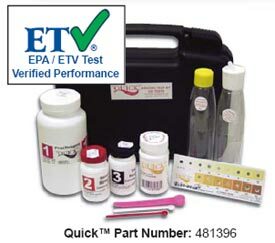 The cost of an Arsenic Quick Test Kit varies depending upon the levels of detection required for the testing and the number of tests in the kit. For a school project we think something like the Arsenic Quick 5's Kit may work well since it will allow your daughter to test 5 different samples of water and it typically provides an adequate detection range for most residential water sources. 1) There's no way to determine the expected arsenic levels in other materials so the kit may lack the appropriate detection range to pick up traces of arsenic if present. 2) Since the Arsenic Quick Test Kits rely on test pad areas that change color to indicate concentrations of arsenic in samples, violent reactions where colored samples splatter up on test pad areas would invalidate any results obtained. 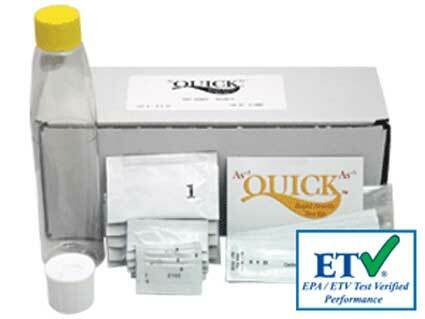 For additional (or more detailed) information on the Arsenic Quick Test Kits and their capabilities, feel free to contact us, again, or you may always contact the manufacturer directly (Industrial Test Systems, Inc.). Testing for Arsenic in Urine with Arsenic Quick? "Can I use the Arsenic Quick test kit to test human urine for traces of arsenic?" Good morning. We have not, yet, heard that the kit would not do so, but we have also not heard that it would... so unfortunately we really cannot say. We suspect, however, that first you may want to research the PPB levels of arsenic that a person could expect to find in urine and see if they match up with what the test kit can detect. We offer several different versions of the Arsenic Quick and each has its own specific detection range for arsenic. Our next thought deals with the color of the sample possibly skewing any results obtained. But, since the test reagent pad in the Arsenic Quick test kit does not actually touch the sample during the test procedure, we suspect that the color of the urine ought not pose a problem. HOWEVER we do believe that the sometimes very 'bubbly' action that takes place in the reaction vessel COULD result in the formation of foam due to various things often found in urine. That foam COULD reach the test reagent pad at the top of the reaction vessel... and ruin the test. "We would like to know about the availability of spare chemicals reagent no 1 and bromide paper for Econo Quick Arsenic Test Kit in Bangladesh. We have a good number of test kits still to be used in which the reagent 1 need to be used by June/2014 and the bromide paper by September/2014. But our testing program will continue upto the end of this year. The other reagents arsenic OK for use by this year 2014." Good morning, Tanveer, and thank you for your inquiry. At this time we do not carry replacement reagents for the Arsenic Quick test kits and do not know of anyone other than the manufacturer (www.sensafe.com) that does. We suggest contacting them to see what they can do to help you purchase the test kit reagent(s) you require. "Hi i like to test ouwer water pit op arseen." Thank you, 'moeijes', for your question about testing for arsenic. At this time we offer several different arsenic test kits in the Arsenic Test Kits section of our store. 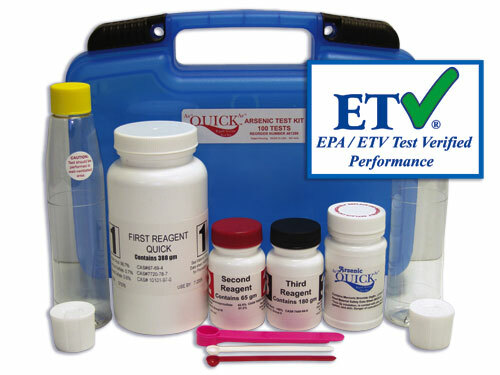 We carry kits capable of testing 2, 5, and 100 samples of water. Can I Test for Arsenic and Parasites in My Water? A reader named ‘Michele’ told us her son tested high for arsenic and the presence of parasites recently and wanted to know if she could test for one or both in her drinking water. Our doctor feels it may be from our water. We are in the suburbs, so have city water. I have had health problems and so have our animals for a while now. I am wondering if our water is the cause. I see a test for arsenic. Is there a test I can get to test for parasites in our water? I would truly appreciate any information you could share with me! Good morning, Michele, and thank you for your inquiry. From what you described we would agree that your water may have something to do with the health problems you described in your son, your animals, and yourself. 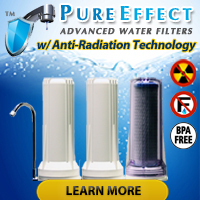 Prolonged exposure to a drinking water contaminant like arsenic can result in the appearance of a wide range of symptoms… and since your son has already tested ‘high’ for arsenic, it definitely stands to reason that you would want to test for the presence of dissolved arsenic in your water. Simple test kits for arsenic like the Arsenic Quick test kits we carry allow home and business owners to readily and easily test for the presence of dissolved arsenic in their drinking water. Regarding the parasites doctors found in your son’s body, well, the fact that you have city/tap water makes the likelihood of those parasites coming from the faucet quite low, but not impossible. Usually unwanted parasites get filtered out and/or neutralized via chemical or other process at a water system’s water treatment facility. No at-home test kits exist for parasites (that we know about) so if you wish to test for parasites you will need to contact your local Health Department for a list of certified water testing laboratories and contract with one to come out, take a sample (or samples), get the sample(s) back to the lab quickly, and perform testing specifically for parasites. A person can pick up unwanted parasites from sources other than drinking water. Foods may carry parasites and sometimes people may even pick certain types of parasites from contact with contaminated dirt, soil, mud, etc. Depending upon the parasite, some have the ability to exist in a host body for quite a while before the host shows any signs of infection/infestation. By any chance did the doctor tell you what type of parasites he/she found in your son? That may help you to narrow down your list of ways in which your son became infected. Sometimes a preliminary round of testing (this time unfortunately on a young boy) results in a need for more testing (this time on the water and possibly other things) before a solution becomes available. With that said, if after a round of testing you still have unanswered questions, keep testing until you find thee answers you need. Your health and the health of those around you may depend on the answers you eventually find and solutions you implement as a result of those answers!